2003 LEXUS SC430 97K. 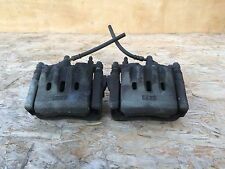 FRONT BRAKE CALIPERS RIGHT AND LEFT. Ask us for a quote if you're outside the US or live in HI or PR. GOOD WORKING ORDER! Engine - 3.0 Petrol 3GR-FSE 183kW. Part number: 3GR. Donor vehicle- LEXUS GS300 2007 RHD. Year - 2007. RHDrefers to part from right hand drive vehicle (found in UK, Australia and others). SIDES EXPLAINED. THIS ITEM FITS: LEXUS IS-F 2008 2009. IS-F AUTOMATIC TRANSMISSION ASSEMBLY. TRANSMISSION BRACKET AND MOUNT ARE NOT INCLUDED. 2008 2009 IS-F IS F F-SPORT. 2009 IS-F 91 K. VIN# JTHBP262695006487. 2009 LEXUS LS460L RWD AIR SUSPENSION101K. REFRIGERATOR FRIDGE STORAGE COOLER REAR SEAT. THIS ITEM FITS: LEXUSLS460L LS460 20 07 2008 2009 2010 2011 2012. Country/Region of Manufacture Japan. Ask us for a quote if you're outside the US or live in HI or PR. Model - CT (ZWA10_). Year - 2013. Original numbers - 2ZR-FXE. This is a quality tested, used spare part! Parts are fully functional but you should expect normal wear corresponding to the year and milage of the car the part has been removed from. 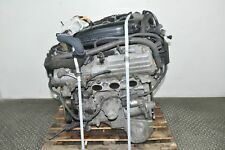 RWD 2.5L ENGINE MOTOR BLOCK 4GR. 2014 IS250 F-SPORT RWD 38 K. THIS ITEM FITS: LEXUS IS250 2006 2007 2008 2009 2010 2011 2012 2013 2014 2015 2016. 2014 2015 2016 IS250 2006 2007 2008 2009 2010 2012 2013 2014 OEM. 2006 LEXUS SC430 82K WHITE EXTERIOR LIGHT BROWN INTERIOR. SC430 2006 2007 2008 2009 2010 SC430 2006 2007 2008 2009 2010. ENGINE MOTOR BLOCK COMPLETE V8 4.3L 3UZ-Z83. Other Part Number V8 4.3L 3UZ-Z83. Model - IS III (_E3_). Year - 2013. Original numbers - 19000-36410. This is a quality tested, used spare part! Parts are fully functional but you should expect normal wear corresponding to the year and milage of the car the part has been removed from. 2011 LEXUS IS350C 36K BLACK EXTERIOR BLACK INTERIOR. THIS ITEM FITS: LEXUS IS350 IS350C 2006 2007 2008 2009 20102011 2012 2013. LEXUS IS350 IS350C 2006 2007 2008 2009 2010 2011 2012 2013. ENGINE MOTOR BLOCK 3.5L 6CYL 2GR. 2002 LEXUS SC430 130K. ANTI-LOCK MASTER CYLINDER BRAKE ABS ACTUATOR PUMP ASSEMBLY. Manufacturer Part Number GA4. THIS ITEM FITS: LEXUSSC430 2002, 2003, 2004, 2005, 2006, 2007, 2008, 2009. 2007 LEXUS GS350 116K BLACK EXTERIOR TAN INTERIOR. RWD ENGINE MOTOR BLOCK COMPLETE 3.5L V6 2GR. GS350 2006 2007 2008 2009 2010 2011 GS350 2006 2007 2008 2009 2010 2011. THIS ITEM FITS: LEXUS GS350 2006 2007 2008 2009 2010 2011. ENGINE CODE: 2ZR-FXE 16V DOHC 1.8 LTR PETROL & HYBRID. COMPATIBLE FOR VARIOUS MODELS OF TOYOTA FITTED WITH ABOVE ENGINE SPECIFICATIONS. LINER & RODS FULLY INSPECTED. ALL OUR UNITS ARE JAPANESE IMPORT. 2007 LEXUS LS460 RWD #1. Ask us for a quote if you're outside the US or live in HI or PR. THIS ITEM FITS: LEXUSLS460 20 07 2008 2009. VIN# JTHBL46F275033712. 2008 LEXUS GS350 RWD 125K TAN INTERIOR. ENGINE MOTOR BLOCK 3.5L V6 2GR. LEXUS GS350 2007 2008 2009 2010 2011 LEXUS GS350 2007 2008 2009 2010 2011. GOOD WORKING ORDER! THIS ITEM FITS: LEXUSGS350 2007 2008 2009 2010 2011. REAR DIFFERENTIAL CARRIER ASSEMBLY DIFF. THIS ITEM FITS: LEXUS IS-F 2008 2009 2010 2011 2012 2013 2014. 2009 IS-F 91 K. Manufacturer Part Number 48J. 2008 2009 2010 2011 2012 2013 2014 IS-F IS F-SPORT. 2007 LEXUS LS460 RWD #1. DRIVER LEFT BLACK LEATHER SEAT COMPLETE. GOOD WORKING ORDER! Ask us for a quote if you're outside the US or live in HI or PR. 2012 LEXUS IS250 RWD F-SPORT 72K. RWD ENGINE MOTOR BLOCK ASSEMBLY V6 2.5L 4GR HARNESS. Manufacturer Part Number 4GR 2.5 V6. 2006 2007 2008 2009 2010 2011 2012 2013 IS IS250 2.5L. FITS ON RWD ONLY. THIS ITEM FITS: LEXUSIS250 RWD ONLY 2006 2007 2008 2009 2010 2011 2012 2013. 2 MONTHS WARRANTY HASSLE FREE! LOW MILES 84K. 2004 LEXUS SC430 84K. AUTOMATIC AUTO TRANSMISSION. freight and all. Ask us for a quote if you're outside the US or live in HI or PR. More parts available! Great prices! LEXUS IS200T 2016 LEXUS IS200T 2016. 2016 IS200T F-SPORT RWD 40 K. THIS ITEM FITS: LEXUS IS200T 2016. RWD 2.0L 4CYL 8AR ENGINE MOTOR BLOCK TURBO COMPLETE. GOOD WORKING ORDER! ENGINE complete LEXUS LEXUS RX 300 (MCU35) Luxury 02.03 - 12.06 year 2003 1MZ-FE, 1MZ-FE JTJHF31U900 includes injection and TURBOSE will pick up old code interno:4024321. 2011 LEXUS CT200H 85K. REAR LEFT BLACK LEATHER DOOR PANEL. VIN NUMBER. Ask us for a quote if you're outside the US or live in HI or PR. 2012 LEXUS CT200H. THIS ITEM FITS: LEXUSCT200H 2011 2012 2013 2014. VIN NUMBER. 2009 LEXUS IS250 RWD 61K. THIS ITEM FITS: LEXUSIS350 IS250 08 09 10. REAR LEATHER SEATS SET. Ask us for a quote if you're outside the US or live in HI or PR. GOOD WORKING ORDER! 2012 LEXUS IS250 RWD F-SPORT 87K. RWD ENGINE MOTOR BLOCK ASSEMBLY V6 2.5L 4GR HARNESS. IS250 2006 2007 2008 2009 2010 2011 2012 IS250 2006 2007 2008 2009 2010 2011 2012 2013. GOOD WORKING ORDER! THIS ITEM FITS: LEXUSIS250 2006 2007 2008 2009 2010 2011 2012 2013. NONE OF VAUXHALL UNITS BEEN DIVORCED ! AND MAKE SURE IT WILL FIT YOUR CAR. 2011 LEXUS CT200H 85K. FRONT GAS STRUT BAR TOWER BRACE. Ask us for a quote if you're outside the US or live in HI or PR. Warranty Yes. VIN NUMBER. For extra money we can send worldwide. THIS ITEM FITS: LEXUS IS-F 2008 2009 2010 2011 2012 2013 2014. FRONT FLOOR MATS SET RIGHT AND LEFT F-SPORT. Ask us for a quote if you're outside the US or live in HI or PR. ALASKA. GOOD WORKING ORDER! 2004 LEXUS SC430 84K. Country/Region of Manufacture Japan. Ask us for a quote if you're outside the US or live in HI or PR. 2002 LEXUS SC430 130K. CONVERTIBLE TRUNK LID SPOILER MARKERS COMPLETE. GOOD WORKING ORDER! THIS ITEM FITS: LEXUSSC430 2002, 2003, 2004, 2005, 2006, 2007, 2008, 2009. 2013 LEXUS GS350 AWD 53K. THIS ITEM FITS: LEXUS GS350 2013 2014 2015 2016. 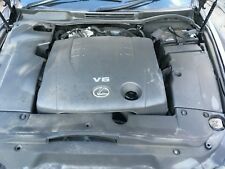 2013 2014 2015 2016 GS350 GS450 USED OEM FACTORY. 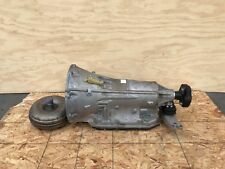 AWD AUTOMATIC TRANSMISSION 35020-30310. VIN# JTHCE1BL3D5002358. freight and all. THIS ITEM FITS: LEXUS IS-F 2008 2009 2010 2011 2012 2013 2014. FACTORY HOOD ASSEMBLY. 2008 2009 2010 2011 2012 2013 2014 IS-F IS F F-SPORT. Manufacturer Part Number 001. VIN# JTHBP262695006487. REAR DIFFERENTIAL CARRIER Y32. THIS ITEM FITS: LEXUS IS250 IS350 IS300 2014 2015 2016. 2014 2015 2016 IS250 IS350 IS300 F-SPORT. 2014 IS250 F-SPORT RWD 38 K. VIN # JTHBF1D21E5011879. Ask us for a quote if you're outside the US or live in HI or PR. 2009 LEXUS LS460L RWD 101K. FRONT RIGHT PASSENGER BLACK LEATHER SEAT COMPLETE COOL HEAT. Ask us for a quote if you're outside the US or live in HI or PR. GOOD WORKING ORDER! RWD ENGINE MOTOR BLOCK ASSEMBLY V6 2.5L 4GR. 2012 IS250 RWD 111 K. THIS ITEM FITS: LEXUS IS250 2006 2007 2008 2009 2010 2011 2012 2013. 2006 2007 2008 2009 2010 2011 2011 2012 2013 IS250 FACTORY. GOOD WORKING ORDER! THIS ITEM FITS: LEXUS IS250C IS350C 2010 2011 2012 2013. 2010 IS250C 100K. CONVERTIBLE TOP MOTOR SHADE BLACK LEATHER. Ask us for a quote if you're outside the US or live in HI or PR. REAR DIFFERENTIAL CARRIER ASSEMBLY Y50 DIFF. Manufacturer Part Number Y50 RATIO. 2010 IS250C 100K. THIS ITEM FITS: LEXUSIS250 IS250C 2006 2007 2008 2009 2010 2011 2012 2013. VIN# JTHFF2C21A2513473. Ask us for a quote if you're outside the US or live in HI or PR. 2012 LEXUS CT200H 46K. FRONT LOWER UNDER ENGINE COVER 52618-76020. freight and all. Ask us for a quote if you're outside the US or live in HI or PR. 2 MONTHS WARRANTY HASSLE FREE! LOW MILES 97K. 2004 LEXUS SC430 97K. AUTOMATIC AUTO TRANSMISSION 25010-24420. freight and all. Ask us for a quote if you're outside the US or live in HI or PR. TRUNK LID CATPET INNER TRIM COVER. 2009 LEXUS IS250 RWD 61K. THIS ITEM FITS: LEXUSIS350 IS250 06 07 08 09 10 11 12 13. 2006 2007 2008 2009 2010 2011 2012 2013 IS250 IS350 FACTORY. Ask us for a quote if you're outside the US or live in HI or PR. 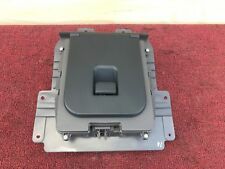 NEW GENUINE TOYOTA ALTEZZA / LEXUS IS200 / IS300 GEARSHIFT BOOT COVER. It is very expensive to own a car in Japan. Japanese vehicles have less miles in comparison to the UK. It only makes sense because one can travel from Osaka to Tokyo for just £100 by bullet train with no hassle of parking and expense on fuel. 2004 LEXUS SC430 68K. PASSENGER DOOR SHELL COVER ONLY. Ask us for a quote if you're outside the US or live in HI or PR. Country/Region of Manufacture Japan. GOOD WORKING ORDER! 2002 LEXUS SC430 130K. PASSENGER RIGHT BLACK LEATHER DOOR PANEL INTERIOR TRIM. GOOD WORKING ORDER!